Nintendo's classic Game Boy title, Radar Mission, was a simple game inspired by the board game Battleship, combined with an element of submarine combat. 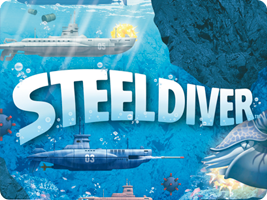 In 2011, Nintendo unexpectedly drew on this title as inspiration for a new series of submarine simulation and combat games, under the new title of Steel Diver. The series also marked Nintendo's first step into the world of micro-transactions for its download games.